Quotations about Answering The Call. Quotes to stimulate mind and drive action! Use the words and quote images to feed your brain inspiring things daily! Scholes was probably the best English midfielder since Bobby Charlton. He was such a brilliant long passer that he could choose a hair on the head of any team-mate answering the call of nature at our training ground. Gary Neville once thought he had found refuge in a bush, but Scholesy found him from 40 yeards. He inflicted a similar long-range missile strike, once, on Peter Schmeichel, and was chased round the training ground for his impertinence. Scholesy would have made a first class-sniper. 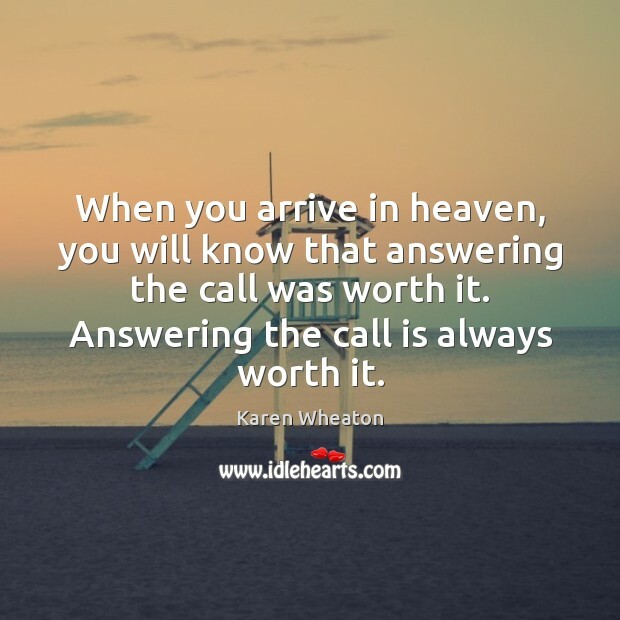 When you arrive in heaven, you will know that answering the call was worth it. Answering the call is always worth it. 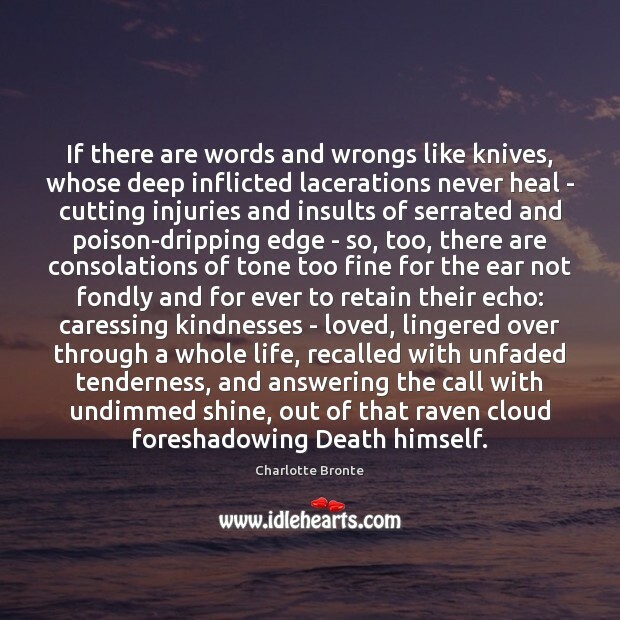 If there are words and wrongs like knives, whose deep inflicted lacerations never heal - cutting injuries and insults of serrated and poison-dripping edge - so, too, there are consolations of tone too fine for the ear not fondly and for ever to retain their echo: caressing kindnesses - loved, lingered over through a whole life, recalled with unfaded tenderness, and answering the call with undimmed shine, out of that raven cloud foreshadowing Death himself. 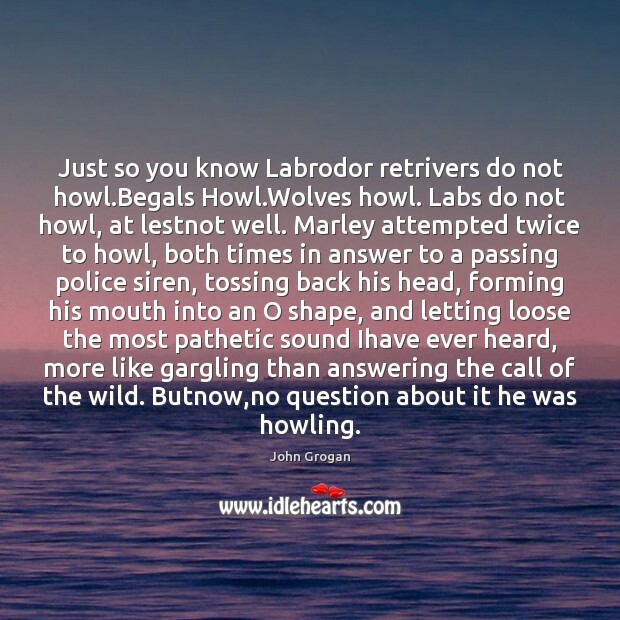 Just so you know Labrodor retrivers do not howl.Begals Howl.Wolves howl. Labs do not howl, at lestnot well. Marley attempted twice to howl, both times in answer to a passing police siren, tossing back his head, forming his mouth into an O shape, and letting loose the most pathetic sound Ihave ever heard, more like gargling than answering the call of the wild. Butnow,no question about it he was howling. 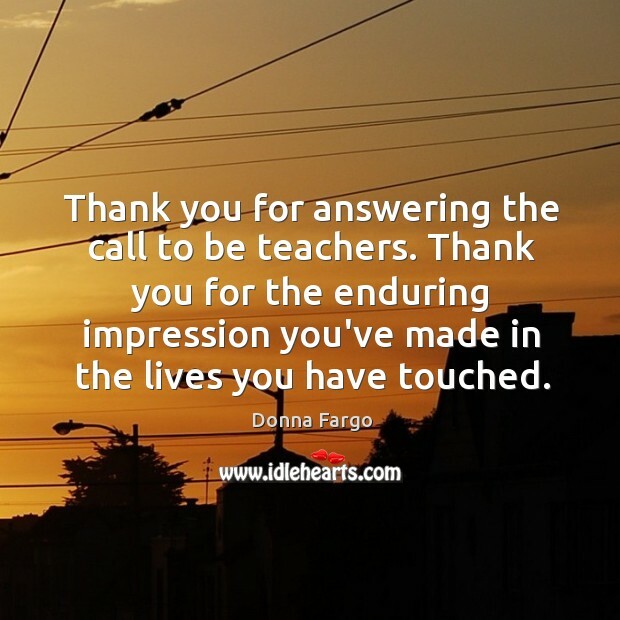 Thank you for answering the call to be teachers. Thank you for the enduring impression you've made in the lives you have touched. We are not primarily called to do something or go somewhere; we are called to Someone. We are not called first to special work but to God. 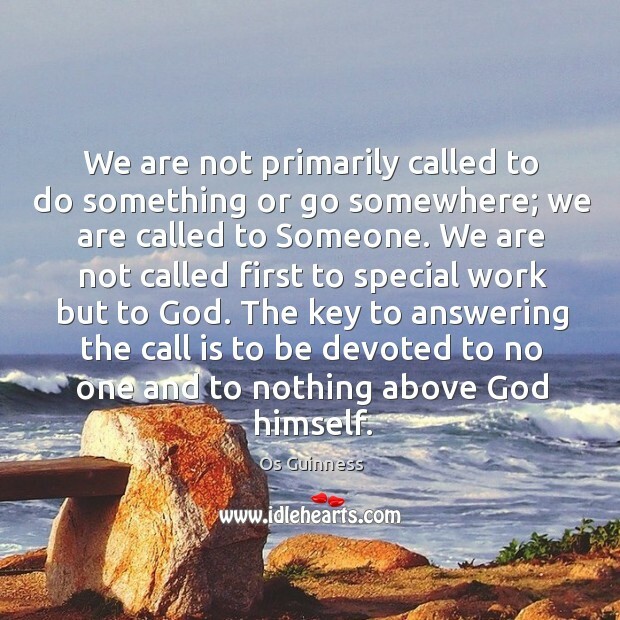 The key to answering the call is to be devoted to no one and to nothing above God himself.